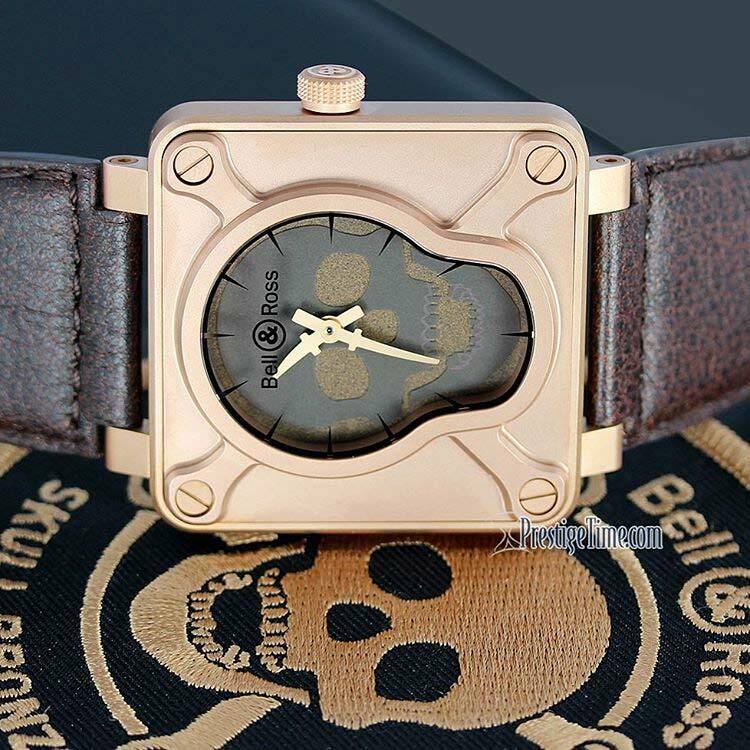 Buy a Bell and Ross watch from Prestige Time and Get a Discounted Price plus Free Shipping! Large selection of in-stock professional luxurious watches for astronauts, pilots, military and EOD divers. Many of their aviation watches have pilot-friendly features like an altimeter or a chronograph with 60-second / 30-minute timers. 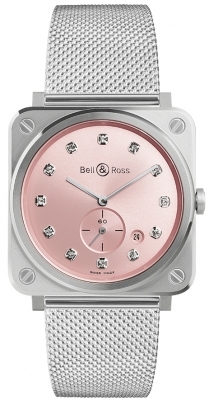 Buy a new and authentic Bell and Ross watch from Prestige Time today and save! 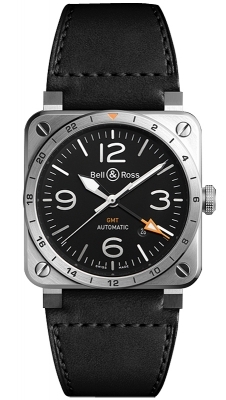 Bell & Ross watches came to be the luxury watch brand in a most unconventional way. 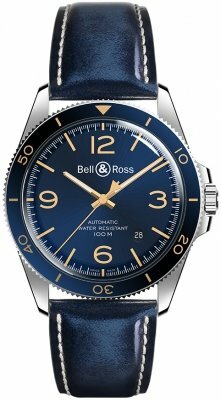 Originally, Bell & Ross was just a team of aircraft control specialists; they put their minds together and set out to create luxury Swiss watches that are made for the types of professionals that with their work, put their lives in extremely risky situations; from astronauts and pilots to deep sea divers and even bomb disposal experts. Many jobs involve the tactical use of time and having precision Swiss watches that are dependable are tantamount to successfully completing missions. For these professionals, Bell & Ross watches are not an accessory; they are a survival tool, the friend that has your back. What keeps their accuracy and importance is their carefully matched team of experts with skill sets that complement one another and form the culmination of the Bell & Ross collective genius in a Swiss luxury watch that is attractive, useful and dependable. 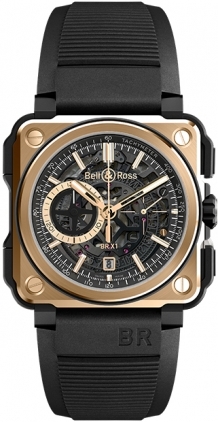 The luxury watchmakers at Bell & Ross have an undying passion for all things related to military and military history. They fashioned their wristwatches after the historical military timepieces and pocket watches. It's no coincidence that they have such a striking resemblance to the aeronautical instruments found on the panel in a fighter pilots cockpit. With a heavy emphasis on aviation inspired watches and military timekeeping devices from the World War 1 timepieces to the WW2 fighter pilots flight instrumentation. They appreciated the service of military personnel and especially has a soft spot for elite units and regularly creates watches that have features catered to their distinct needs as well as to mark special milestones. 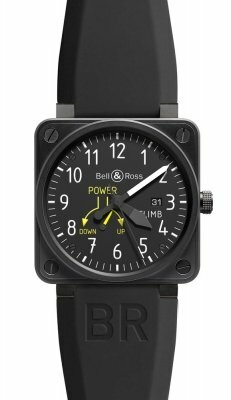 Why is Bell & Ross so heavily focused on producing army watches? It's no secret that without military precision and discipline, an army would not survive. An army's performance is only as good as they are reliable and furthermore, an army is only as reliable as their personnel and equipment. This is one of the reasons why Bell & Ross is considered to be some of the finest military grade timepieces available on the planet with their perfect balance of function, precision and readability. Bell & Ross designs their timepieces for professionals who's lives depend on the four key design principles that are infused in every one of their watches; performance, readability, water resistance and precision. Regardless of how complex the mechanical movements are in a Bell and Ross, one can always see the attention to detail and intense care taken during each stage of production. The heart that beats in every Bell & Ross timepiece is the mechanical movement; the watch's vital organ comprised of hundreds of parts and the embodiment of generations of watchmaking wisdom. All Bell & Ross timepieces are built around a very complex precision movement. In pursuit of defeating the challenges faced in the land, sea and heavens, the experts of this firm have conjured several watches that are the epitome of what all they stand for. They are representative of the sophisticated mechanics and technical competency instinctively implanted in all the Bell & Ross luxury timepieces. These watches are the iconic Bell & Ross BR 01 Tourbillon, the Hydromax 11 100 M and the Vintage 123 Heur Sautante. Bell & Ross aviation watches dominate the entire product line with watches such as the Bell & Ross Aviation BR01 watch which features flight instrumentation that is practical for professional pilots and other complications such as GMT, Chronograph, Big Date and Power Reserve complications. The Bell and Ross Aviation BR03 is another Pilot's watch with watches featuring Big Date Power Reserve, GMT Chronographs and even a Type Aviation Quartz 42mm version. The Bell & Ross BRS collection has several pilots watches such as the BR S Quartz, BR S Mechanical Gold 39mm watch, available in Rose Gold and White Gold and the Bell & Ross BR S Automatic 39 mm watch. Another fine example of a legendary aviation watch is the Bell & Ross BR-X1 chronograph skeleton, a limited edition Bell & Ross 45mm pilot's skeleton watch made out of titanium and featuring an automatic movement. 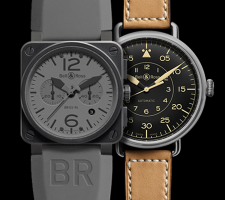 Bell & Ross Vintage watches are a series of historical watches that commemorate the 1st and 2nd World War with the Bell & Ross WW1 watch and WW 2 watch. For the nautical enthusiasts Bell & Ross produced the Bell & Ross BR02 Marine series are very practical with their highly readable dials. These Bell & Ross luxury diver's watches are water resistant up to an unfathomable 1000 meters or 3000 feet allowing divers to reach new depths in their underwater exploration. Recently, in 2015 the Bell & Ross firm has taken design a step further with the unique design of their Bell & Ross BR 01 Skull Bronze Tourbillon which is to be a part of the Only Watch auction. The watch looks like the kind of pirate watch that Captain Jack Sparrow would wear, with its historical design that fits beautifully in a retro-futuristic Steampunk style. Although the unique timepiece celebrates the legend of two hundred year old iconic pirate, Bartholomew Hawkins, whose pirate ship known as "Black Wind" sank of the coast of the coast of Monaco in 1815. Captain Bart Hawkins owned a Tourbillon watch that he had custom made with the notorious pirate's logo, the Skull and Crossbones and wore this watch during every confrontation. Rumor has it that the face of the Tourbillon watch he wore held a piece of bronze that he took from a cannon that once belonged to one of his adversaries. One can only imagine the picturesque moment of this legendary pirate holding his sword up high and staring at his Pirate's Skull and Crossbones Tourbillon watch seconds before giving the order: "Fire at Will!" followed by the deafening sound of splintering naval ships turning into nothing but floating wreckage. Many treasure seekers embarked on quests to find the remnants of the legendary ghost ship once commanded by this ruthless marauder of the seven seas. We at Prestige Time have a hunch that Captain Bartholomew Hawkins would have scoured the earth in search of a treasure such as the BR01 Skull Bronze Tourbillon watch. In absence of such a deserving owner, the 2015 Only Watch charity auction is now the lucky beneficiary of this iconic watch. So why does this watchmaker put such importance to the iconology of pirates? Most people are not aware that the "Jolly Roger" known to most as the Skull and Crossbones, is actually a symbol still very much in use today by the people in uniform. Yes, the military uses the Jolly Roger to intimidate their enemies and use it decoratively on their military gear, uniforms and even airplanes. The fusion of the Jolly Roger along with other military icons such as the sword and dagger can be found on the BR 01 Skull Bronze Tourbillon from Bell & Ross. As if to say that air to surface missiles found on fighter jets don't quite do the trick.